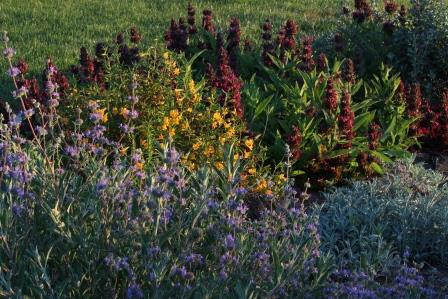 Here are some of our favorites - especially for those getting started with growing native plants. These will be updated occasionally. Chilopsis linearis (Desert Willow) - If you are looking for a tree, this is the one. 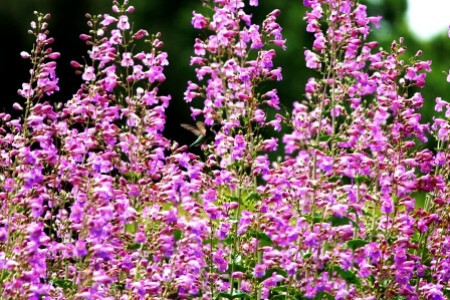 Beautiful with a long bloom of pink flowers from May to September. Needs no irrigation after establishment. Has quickly become an all-star. 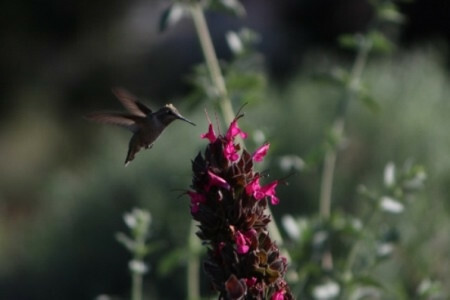 Salvia spathacea (Hummingbird Sage) - one of the best and easiest to grow natives. 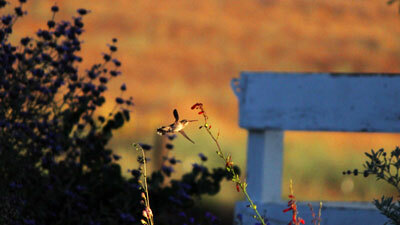 Lives up to its name, as it attracts hummingbirds like crazy. Salvia clevelandii alpine (Alpine Cleveland Sage) - A slightly more compact sage with long flowering season and - like other sages - a nice aroma, expecially after a rain. Ceanothus concha (Mountain Lilac) - Nothing is as spectacular as this larger shrub during bloom. Covered in bright violet blossoms. Very drought tolerant. Penstemon heterophyllus (Foothill Penstemon) - Compact penstemon covered in blue/violet flowers for about 2 months. 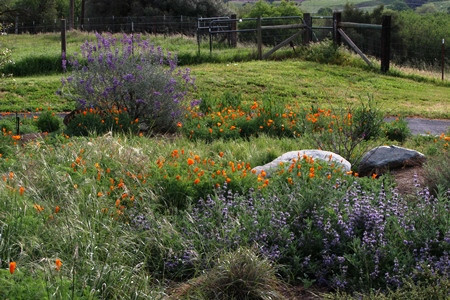 Drought tolerant but can also stand some irrigation during summer. Calscape. 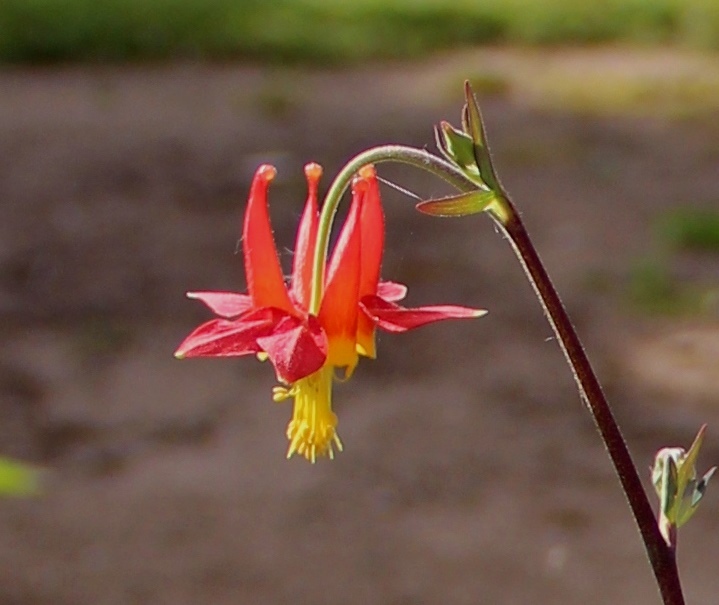 The California Native Plant Society site that has a lot of information about native plants. You can search by region to see what naturally grows in the area. A little bulky, but worth the work. 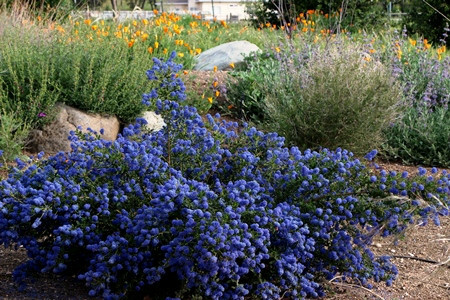 Drought-tolerant plants that will look great in your garden! 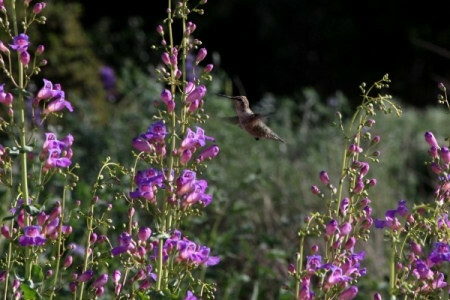 LA Times pictures and descriptions of drought tolerant plants - many natives. Another article in the LA Times. 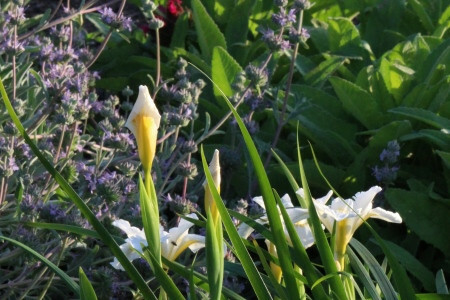 Some helpful plant recommendations from the book "The Colorful Dry Garden," by Maureen Gilmer. 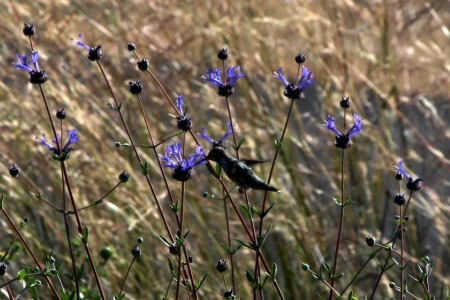 California Native Plant Society (CNPS) Lots of resources and recommendations. Located East of Oakdale, California. Directions - From Oakdale, East on Hwy 108/120. In about 3-4 miles, turn left (North) on Orange Blossom Road. Continue 3.5 miles and look for signs. More than 10 new species.